Knight holds a Master of Fine Arts degree from the University of California, Irvine. Saleemah received formalized training in Ballet, Modern and Jazz Dance from prestigious companies such as: Gus Giordano Chicago, River North Chicago and Dayton Contemporary Dance Company. She has performed in Contemporary Ballet works choreographed by Donald Byrd and was a featured dancer in The Lion King Broadway Musical. She has also performed with Beyoncé, Chris Brown, Jamie Foxx, Jillian Michaels, Tyrese, Ludacris and more. As a concert dance choreographer Saleemah has set several pieces for the stage, the latest work entitled 9 Minutes and Counting. 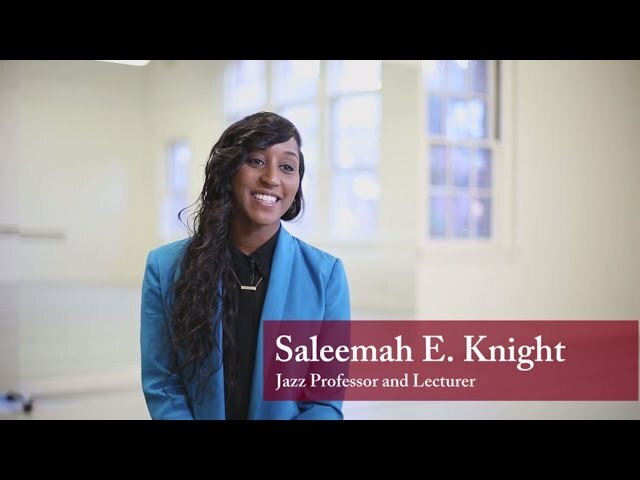 She currently teaches Jazz and Modern Dance technique and performance-based courses at the USC Glorya Kaufman School of Dance, as well as master classes worldwide.